Life Fitness. One of the most instantly recognisable and widely known names in fitness, they’re renowned for producing high-quality fitness machines for both the home and commercial markets. 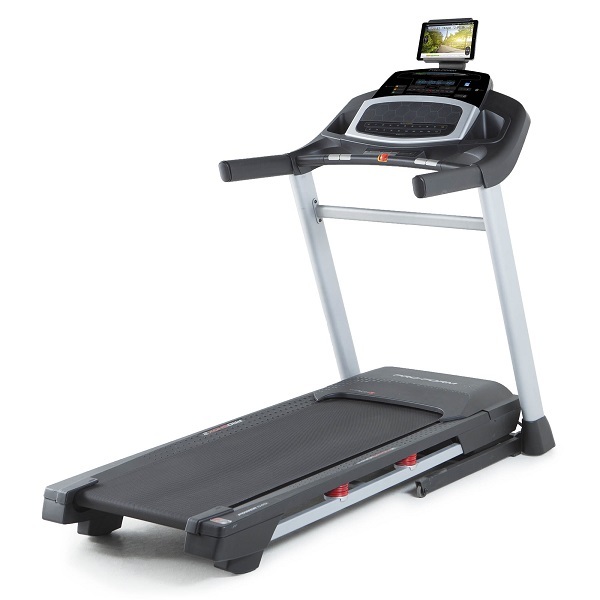 While their commercial treadmills are understandably priced higher than most households would be willing to pay, their home treadmills often have many of the features to be found on their commercial machines but at a more affordable price. Life Fitness machines are aimed squarely at people who are happy to pay for a high-quality bit of kit. Their F3 domestic model comes in two different guises offering the option of a basic or a more advanced console. Our test model was the F3 with the Go console which comes without the interactive hi-tech features that their Track Connect console offers. 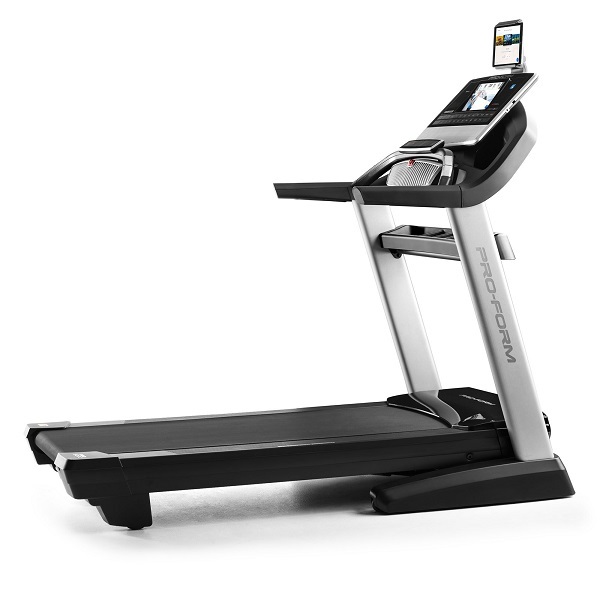 Life Fitness describe the F3 as a compact treadmill, which it is, compared with a full sized commercial gym machine! 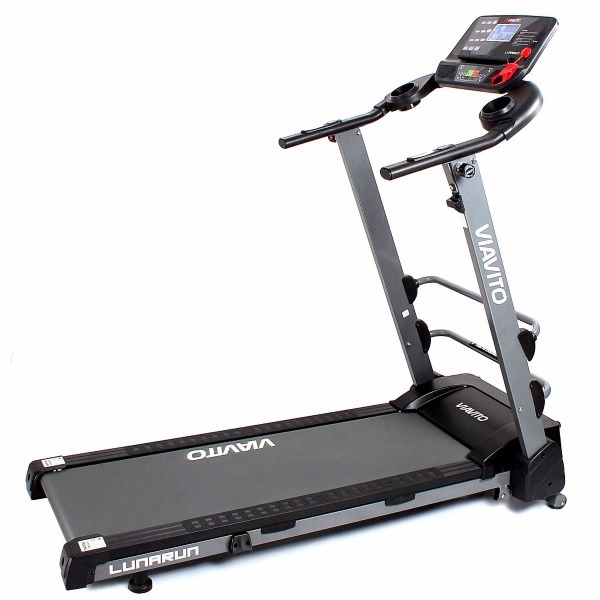 At 200 cm x 88 cm x 149 cm (78.5 x 34.5 x 58.5 inches) it measures up just a fraction smaller than many full-sized domestic treadmills with oversized running decks, which makes it larger than most typical domestic machines and certainly a good deal larger than what would normally be described as compact when talking about home-use treadmills. As such it’s worth bearing in mind that you’ll still need a good bit of space to house this machine despite the ‘compact’ tag. When it comes to build-quality the F3 certainly doesn’t disappoint. Not only does it look the part, it passes the ‘shake-test’ with aplomb and feels extremely sturdy all round (as expected). 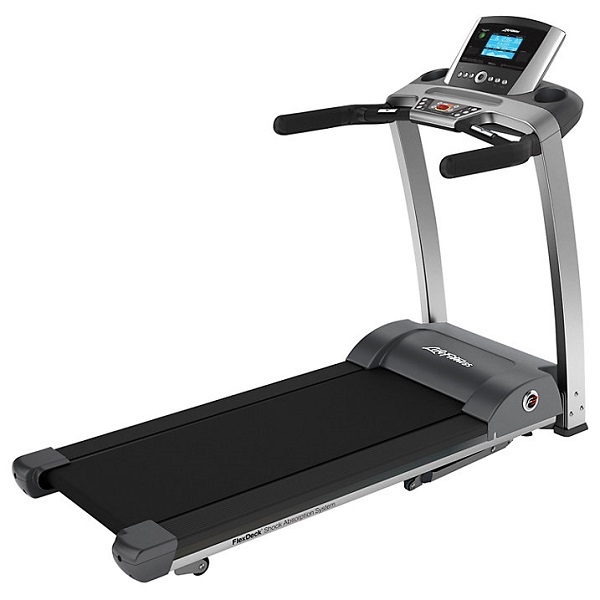 It’s clear that Life Fitness have not taken any shortcuts here and even just the thickness of the metalwork inspires confidence in the quality of this treadmill. The running area measures up at 51 x 140cm (20 x 55 inches) which provides lots of space to move around on and makes you feel nice and safe. The other noticeable thing about the F3 is just how quiet it is. Even at full speed, it’s quieter than a lot of other machines are when running at 3/4 speed. While the fact that the top speed is just 16 kph (10 mph) will play a part in this, it’s also almost certainly down to the quality of the 3.0 HP (6.0 HP peak) DC motor that’s the heartbeat of this treadmill. 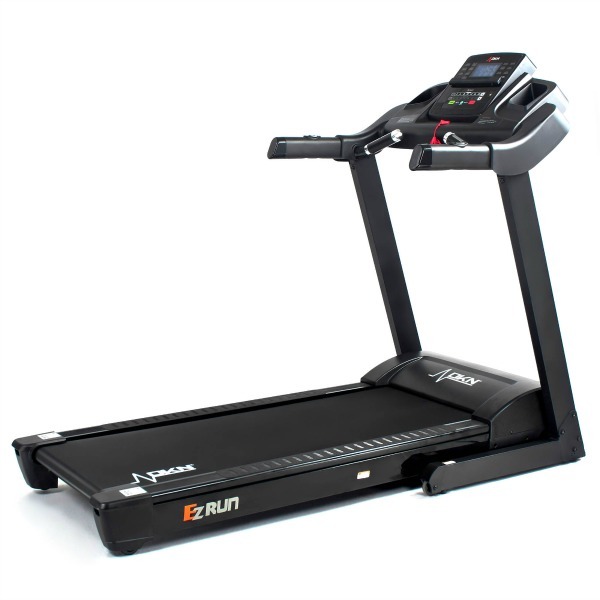 The maximum incline on the F3 is a healthy 12% which should be plenty for most runners and it moves between the levels smoothly and quietly and quickly enough to make interval training sensible. The Go console is clearly and logically laid out and features a 7″ blue back-lit LCD display that’s got good contrast and large characters making it easy to see. It displays all the feedback data you need to monitor your progress and is easy to operate, featuring just a handful of buttons, all of which make sense. There are 13 preset workouts plus a manual mode and a fitness test and it’s also possible to create up to 2 custom programs. There are 2 user profiles that can be set up and Life Fitness have added very useful ‘Quick Start’ feature that allows you to create a quick start setting for each profile. The console then remembers the preferred walking/jogging/running speed for that profile. A button press and you’re on your way and up to your usual speed without any faffing around. 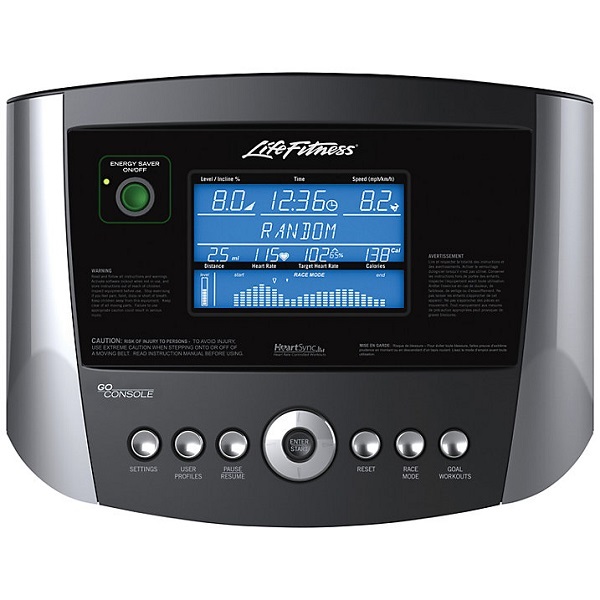 This will definitely appeal to a large proportion of users of this machine and it makes it easy to get into a daily routine run without any fuss or lots of button presses. The F3 is extremely comfortable to run on and delivers a silky smooth, quiet workout. And it’s not a surprise that it does so when you consider the 2.6″ (front) and 2″ (rear) rollers (far larger than you’ll find on most of its competitors) and the high-quality motor and running belt. Another sign of the build quality here is the 159kg max user weight. When a machine is designed to take that kind of weight then you know you’re dealing with a very high-quality bit of kit. It also folds up to a very compact, almost vertical, position which means that the footprint folded is really all the space it takes up. Those are impressive specs and although there’s no doubt that you’re paying for them, like the metalwork, it’s very reassuring that you’re definitely getting what you’re paying for! If we’re being critical (and that’s what we’re here for after all) we’ve become used to seeing top speeds of up to 22 kph (13.6 mph), significantly larger motors and steeper inclines of up to 15% on treadmills at this price point (with some models even featuring decline settings too). We’ve also become accustomed to a raft of features such as interactive training, full-colour touch-screens, fans, speakers and the such like. You won’t find any of those on the F3 with the Go console. But, what you will find is that the F3 goes about its business in a ruthlessly efficient, quiet and very determined way. It oozes quality from top to toe and while on paper it falls short on specs compared with the competition, when you get up close and personal with it it’s hugely impressive and any fear of losing ground in keeping up with the Jones’s melts away in less than a New York minute. If you’re all about the quality, don’t care much for gadgets and features, want a treadmill that does what it promises without fuss and you don’t mind paying a premium to get it, then it’s easy to recommend the Life Fitness F3. 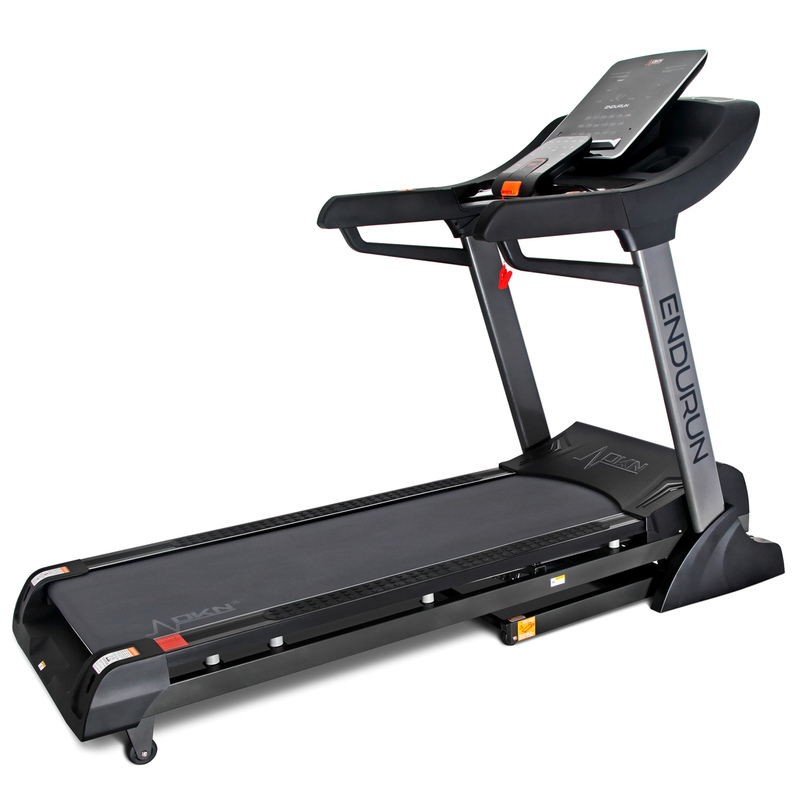 It’s a high-quality treadmill that, with proper care and maintenance, should last years and years and years. 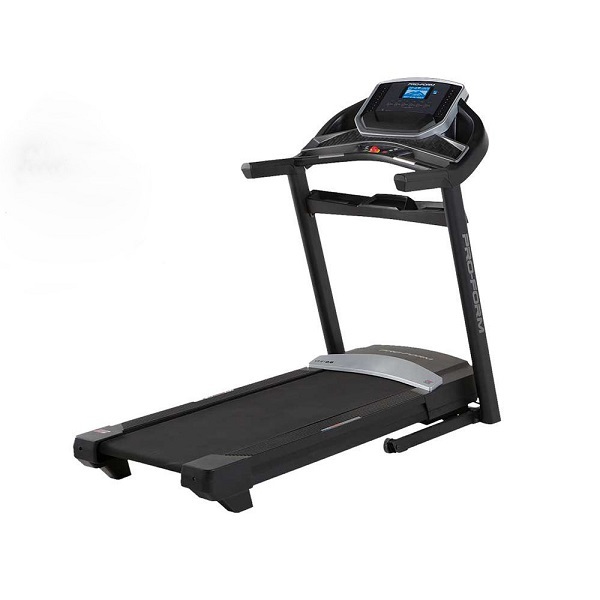 The LIfe Fitness F3 treadmill is a seriously high-quality running machine that uses premium components to deliver a smooth, quiet and comfortable workout. The focus on the Go version is clearly on quality above all else. If you care about having the highest quality available, don't care about functions and features and can afford one of these then it's easy to recommend it. 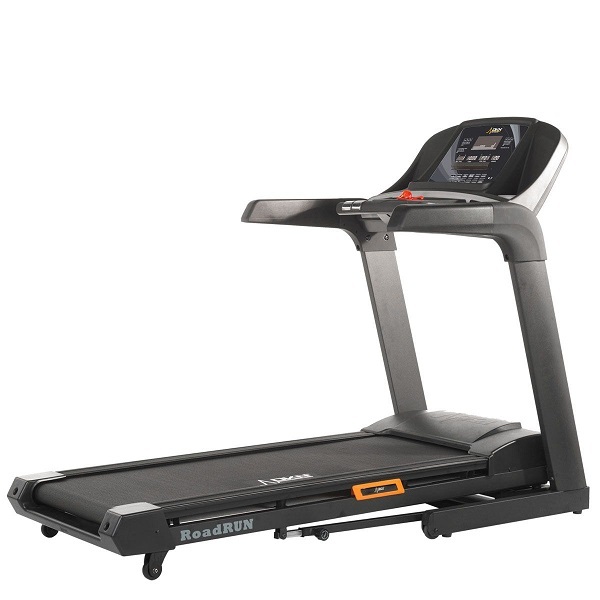 If you're looking for a more advanced, similar sized and well built but less expensive treadmill, then take a look at the outstanding DKN Roadrunner. Alternatively, if you've got the space for it, the Proform Pro 5000 is definitely worth a look!